Non-cooperative market models; political games; cost allocation; organization theory. Lloyd Shapley, a UCLA emeritus professor of economics and mathematics and co-winner of the 2012 Nobel Memorial Prize in Economic Sciences, died on March 12. He was 92 years old. In their 1962 paper, “College admissions and the stability of marriage,” Shapley and mathematician/economist David Gale demonstrated how to match members of two groups — for example, men and women in a “marriage market” — in a way that is stable. Born in Cambridge, Mass., on June 2, 1923, Shapley was one of five children of Harlow Shapley, a renowned Harvard University astronomer. 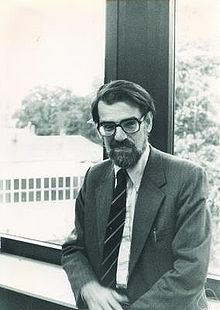 Lloyd Shapley was studying mathematics at Harvard when World War II broke out. He won a Bronze Star while serving in the Army Air Corps for breaking a Soviet weather code. After the war, he earned degrees at Harvard and Princeton University. After receiving his Ph.D., Shapley worked as a research mathematician at the RAND Corporation in Santa Monica. UCLA mathematics professor Tom Ferguson met Shapley in the early 1960s through their mutual interest in Kriegsspiel, a variation of chess where a player only sees his or her pieces on the board, but not an opponent’s. Acting as a referee, a third person provides information about the legality of each move as the game progresses. Ferguson and others on the faculty at UCLA urged their departments to hire Shapley, who was thinking about leaving RAND. He joined the UCLA faculty in 1981 and has been emeritus since 2001. Shapley became the sixth UCLA faculty member to be named a Nobel laureate, joining Willard Libby (chemistry, 1960), Julian Schwinger (physics, 1965), Donald Cram (chemistry, 1987), Paul Boyer (chemistry, 1997) and Louis Ignarro (physiology or medicine, 1998). Shapley traveled to Stockholm in 2012 to accept the prize after meeting with President Barack Obama at the White House in Washington. In awarding the 2012 economics prize to Shapley and Alvin E. Roth of Harvard, the Royal Swedish Academy of Sciences said, “This year’s Prize concerns a central economic problem: how to match different agents as well as possible. For example, students have to be matched with schools, and donors of human organs with patients in need of a transplant. Ferguson said Shapley’s work is still very much the subject of intense discussion. A conference in 2013 in Istanbul focused on the Shapley value, a concept that Shapley introduced in 1953.